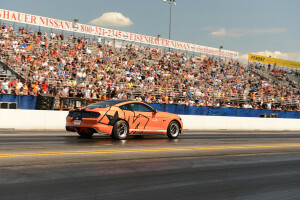 The Bama Performance team has been hard at work with their 2015 Mustang GT racecar setting a new record of 9.4 @ 136 MPH! Bama Performance was the first to break into the 9’s back in November of 2014 with a nitrous setup, but a few things have changed since then. At one of the testing sessions, a timing chain sprocket on the motor failed causing catastrophic damage to the motor. The Bama Team decided to go with an RGR JPC shortblock, carrying over with it the ’15 components. Some 11-14 5.0 timing and valvetrain components were used for added strength and durability and also as there really isn’t a whole lot available currently for the 2015 5.0 block. After adding the valvetrain components, the 2015’s electronics didn’t vibe too well with it, so the Bama Team reached out to Ford Performance for an 11-14 control pack module. The new built motor is utilizing the Bama Performance Supercharger Kit, powered by a Whipple 2.9L unit. On the dyno, the 2015 Bama GT through down a face-melting 944 RWHP, making it one of the baddest 2015’s around. At the 2015 AmericanMuscle Car Show, the Bama Team ran the S550 GT again and it went 9.4 @ 146 MPH. 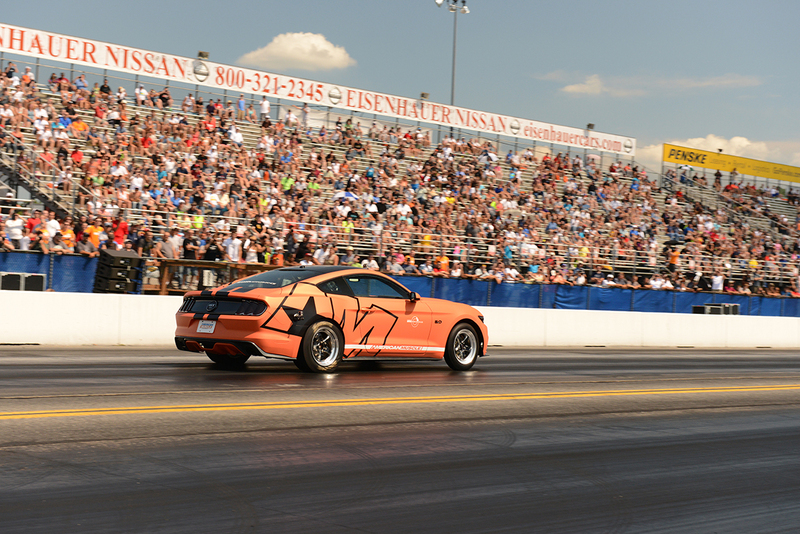 Stay tuned as there will be faster times to come from the Bama Performance 2015 GT!